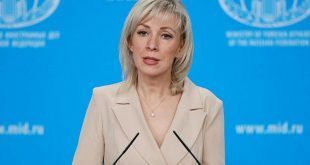 Vienna, SANA-Syria’s Permanent Representative to the UN Bassam Sabbagh stressed that terrorist organizations regardless of their names which are backed by regional and international parties have practiced all types and forms of transnational organized crimes against the Syrian people over the past years. 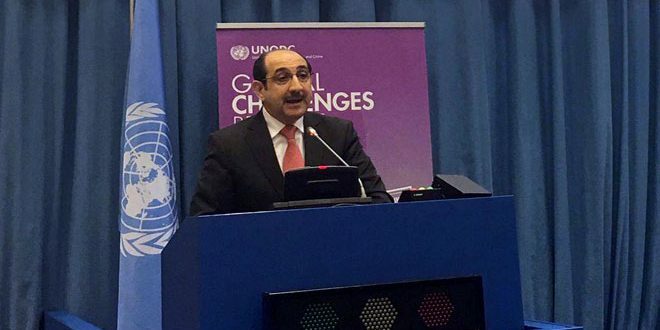 In a speech delivered before 9th Conference of the Parties to Transnational Organized Crime Convention held at UN Headquarters in Vienna, Sabbagh said that Syria had been classified as the third on the international level with regard to the absence of the crimes of trafficking in persons and in human organs and the organized crimes. He added that this situation has changed over the past seven years which has witnessed the entrance of large numbers of the most dangerous terrorists and criminals to Syria from different parts of the world backed by regional and international parties which supplied them with a lot of money, weapons, telecommunication devices and modern technologies. He indicated that these barbaric terrorist groups of Daesh (ISIS), Jabhat al-Nusra, Hayat Tahrir al-Sham, Turkistan and Chechen and others have practiced all types of terrorist and organized crimes including the trafficking in persons and human organs, in addition to the sexual abuse, and destroying and looting the Syrian archeological monuments, some of which date back to more than 2000 years ago. 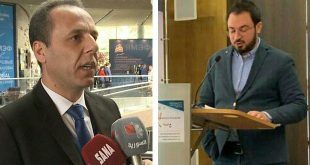 Sabbagh added that these terrorist groups also robbed the archaeological pieces at the historic churches and mosques and to smuggle them outside the country. He indicated that with the upsurge in the terrorist crimes in Syria and the intimidation of Syrians, the Syrian citizens started to leave their homeland heading for neighboring states and the trafficking in persons increased, particularly in children as international and UN reports proved that notable and continued increase in the organized crime which targeted the displaced Syrians. Sabbagh noted that Syria is a member to the most of the international conventions which are concerned with preventing the organized crime and it is keen on developing its national laws to become in line with these international agreements and to facilitate their implementation. He said that the terrorists and criminals are able to possess and use modern telecommunication techniques which allowed them to enhance their ability to commit different types of crimes which entails exerting all possible on the international level to face this new and dangerous challenge. 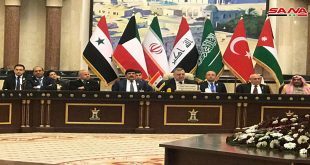 Sabbagh affirmed that Syria has closely cooperated with the UN Office which is concerned with the organized crime and the drugs and that it appreciates the efforts it exerts in providing the technical support to the member states. He considered that enhancing the role of the UN in facing the organized crime entails exerting all possible efforts by all members of the international community in that domain and strengthening means of international cooperation through the honest political will in the full implementation of the relevant international agreements and resolutions to become affective in facing the Transnational organized crime.